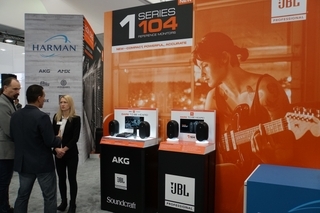 CES 2016, LAS VEGAS – Today, HARMAN International Industries, Incorporated (NYSE:HAR), the premier connected technologies company for automotive, consumer and enterprise markets, previewed the forthcoming Mark Levinson № 519 Audio Player, a remarkably versatile ultra high-end source component designed to accommodate every digital audio format. The № 519 was designed to be the heart of high-performance audio systems, with the ability to play back virtually any audio format from streaming music services to networked storage, to CD to high-resolution digital inputs and even convenient Bluetooth® wireless. 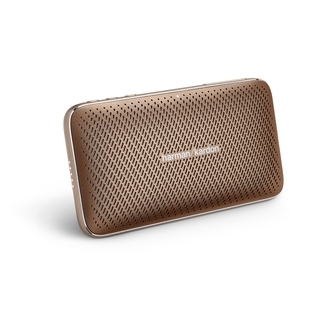 In addition, it includes high-performance headphone connectivity and integrated digital volume control allowing it to serve as a fully integrated digital music source. Designed and engineered at HARMAN’s Engineering Center of Excellence in Shelton, CT, USA, the № 519 provides a full compliment of wired and wireless digital audio inputs and as well as an integrated slot-loading CD player, making it a truly universal digital audio playback device. 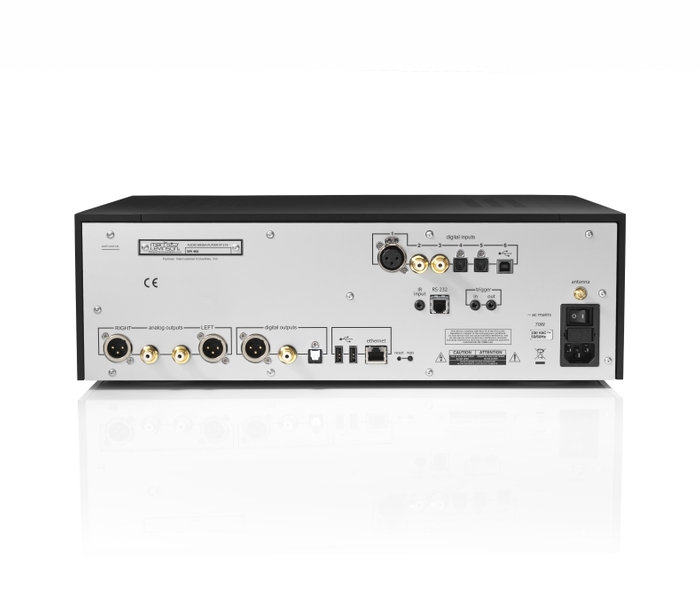 The integrated high-resolution DAC receives its nine digital inputs including USB asynchronous streaming and mass storage, Gigabit Ethernet, Balanced, Optical, Coaxial, as well as Wi-Fi and Bluetooth wireless featuring aptX® technology for maximum resolution. 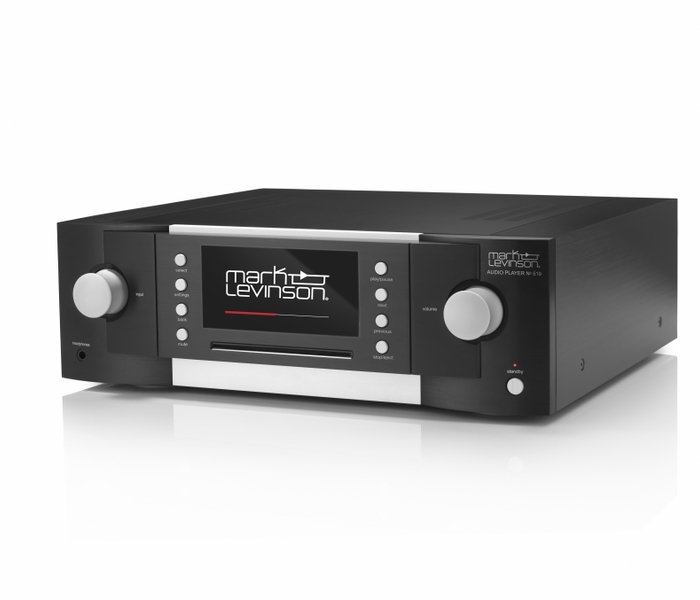 The Mark Levinson № 519 offers high-resolution digital decoding up to 24-bit, 192kHz from PCM and double-speed DSD. Its DAC incorporates an ESS Sabre32 Reference converter for superlative musical accuracy with exceptional resolution and dynamic range. The № 519 contains a complete embedded Linux computer, delivering outstanding performance headroom for flawless performance, regardless of configuration. It contains Spotify Connect, TIDAL, QOBUZ, Deezer®, Rhapsody® or Napster® and a large library of internet radio stations and podcasts for a virtually limitless library for discovering and auditioning new music. For listeners whose libraries contain older or lower resolution content, the № 519 contains HARMAN Clari-Fi® music restoration technology, which rebuilds musicality and detail lost in the compression process. The № 519 features a proprietary Mark Levinson discrete, direct coupled, fully balanced, dual-monaural signal path offering balanced and single-ended analog outputs, balanced, optical and coaxial digital outputs and a high-performance headphone outputs integrated into the front panel. Digital volume control enables usage as a standalone music playback device connected directly to a power amplifier or active loudspeakers without the need for a separate preamp, and selectable low-pass filtering enables the unbalanced outputs to be used for subwoofer integration. The № 519 is also the first Mark Levinson component to include a headphone output with the ability to directly drive high-performance headphones. The № 519 is built to the absolute finest standards of materials, fit and finish, featuring a 6000-series aluminum housing in black with silver trim. The № 519 can be operated from its large, front-panel color display, included remote control, Apple iOS® and Google Android™ apps, all major web browsers and via a comprehensive range of system integration connections. Like all Mark Levinson products, the № 519 is designed and handcrafted in the USA. The Mark Levinson № 519 Digital Player will be available in July 2016.